One year and two months after Operation Entebbe, West Germany carried out a similar hostage rescue mission in Mogadishu, Somalia. They boarded Flight 181. October 1977 was a particularly wet month on the Island of Palma de Mallorca in the Bay of Palma. On Thursday 13th, October, 1977, Captain Jurgen Schumman and his co-pilot Jurgen Vietor taxied Lufthansa Flight 181 onto the wet runway. At 11.00 am, the aircraft took off for Frankfurt, Germany, carrying five crew members and 86 homeward passengers. Nothing seemed amiss on the Boeing 737-230C nicknamed Landshut after a city in Bavaria in south-East Germany. For the first thirty minutes, everything went on as planned. As the Boeing flew over Marseilles, four passengers wearing Che Guevara t-shirts rose from their seats. The two men and two women were barely in their 20s, with the oldest among them being Zohair Youssif Akache, their leader and Wabil Harb, both of whom were 23 years old. Suhaila Sayeh and Hind Alameh, the ladies, were both 22. The two ladies had smuggled six hand grenades, three pistols (a .357 Magnum, a Tokarev, and a Makarov). They also had a kilo and half of PETN explosives. All the contraband was fitted into a cosmetic case and a large radio set and carried as hand luggage. They called themselves Commando Martyr Halime. As the ladies brandished loaded pistols, Akache, or Captain Martyr Mahmud as he called himself, and Harb forced their way into the cockpit. Mahmud forced the co-pilot out of his seat, leaving only Schumman at the controls. First, he explained, Schumann had to change course and fly towards Larnaca in Cyprus. But Schuman couldnt. The most he could do was a refuelling stopover in Rome, Italy. With Harb holding a gun to his head, Schumman headed for Rome. As he flew over the French Riviera, he notified French authorities that the aircraft had been hijacked. 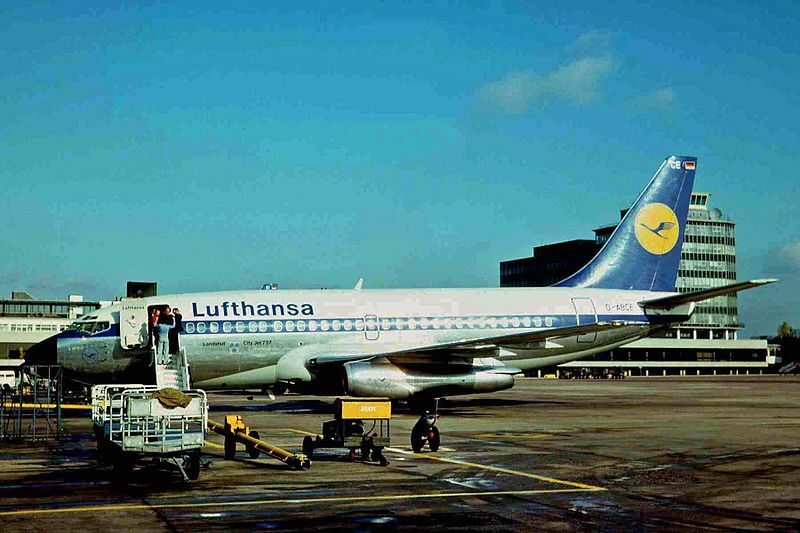 The French notified Lufthansa, and the airline immediately notified the West Germany government. Meanwhile, the female terrorists had forced the cabin crew to the rear of the economy section. Vietor and all the first class passengers were also forced into the economy section. Akache left the cockpit and made to the economy section. He shouted at the terrified passengers and crew I am Captain Martyr Mahmoud, and anyone disobeying my orders will be shot. His female accomplices then frisked everyone, before going through all the hand luggage as Akache walked around, scaring the passengers. Four hours later, Schumman calmly landed the jet on the runway at Leonardo da Vinci airport. Italian troops immediately surrounded the plane. It was then that Akache, now seated at Vietors seat in the cockpit, finally made his demands. He wanted US $15 million as ransom, but most importantly, he wanted eleven members of the Red Army Faction (RAF) and two Palestinians in German and Turkish jails respectively, released unconditionally. If this did not happen by 8am the next day, he would blow up the plane. The Italian government chose the easy way out. Instead of shooting the planes tyres as West Germany requested, they refuelled the plane. At 5.00 pm, Schumann piloted the aircraft from Rome and headed to Larnaca, Cyprus. There, the aircraft was refuelled again and took off towards Beirut. Lebanese troops blocked the runway, preventing Schumman from landing the plane. All other nearby options, Kuwait, Iraq, and Damascus, also closed their airspaces to the hijacked flight. Schumman turned to Bahrain. If he did not land the aircraft immediately, it would run out of fuel and fall off the sky. The control tower refused but Schumman, at Akaches behest, landed anyway, barely making it as the plane had only had three minutes worth of fuel remaining. Akache then opened the door and held a gun to Schummans head, threatening to blow his brains out if the Bahraini did not withdraw the troops that had surrounded the plane. The Bahraini government relented, and the plane was refuelled and allowed them to take off for Dubai. The plane landed in Dubai at 5.40am, about 18 hours since it had been hijacked. It stayed on the runway the whole day and night. The hijackers faced a housekeeping problem. The plane had been airborne for many hours without the trash being cleared. The air conditioning and the power supply were fried, and the plane was now an oven. The passengers had been banned from using the toilets, further complicating the situation. The terrorists demanded food and water from the control tower, and that the toilet tanks be replaced. Akache threatened to start shooting the hostages, forcing the Dubai government to finally agree to refuel the plane and replenish its food supplies. By the time Germany had started emergency hostage rescue plans, the final destination was still unknown to all but the hijackers. They seemed to want to stay in the Middle Eastern region, meaning that Dubai was probably the best place to launch a rescue mission. At some point during the stopovers, Schumman dropped four unlit cigars from the cockpit, a code that there were four terrorists on the plane. The original report by the French had indicated they were five. Knowing how many terrorists were on board would be crucial for any hostage rescue mission. At the epicentre of the rescue plans were the elite GSG-9 whose leader, Colonel Ulrich Wegener, immediately asked for help from Britains Elite SAS forces. Among the toys the SAS carried to Bonn, Germany, were stun grenades, such new technology at the time that even the elite Germany forces had never seen them. The stun grenades would play a crucial role in the rescue effort. The Grenzschutzgruppe 9 (Border Guard Group 9) was formed as the elite command unit of the West German border police after the Black September attacks in Munich. West Germany had been caught unawares, and since the postwar disarmament, had done nothing to train a special forces unit. There was the widespread fear that any commando unit would ultimately become the ruthless Schutzstaffel (SS) that had allowed Hitlers Nazi Party to thrive. Officially constituted in 1973, the GSG-9 first saw action in 1977, in what was codenamed Operation Feuerzauber (Operation Fire Magic). Wegener landed in Dubai to negotiate with the government to allow his team to stage a rescue effort. The GSG-9 and SAS commandos landed shortly after permission was granted, and immediately started supplementary training. The commandos disguised themselves as mechanics, and working with undercover Dubai troops, helped load the plane with food and supplies, and a birthday cake for Annemarie Staringer, one of the flight attendants. She had just turned 28. The initial direction after leaving Dubai was Salalah, Oman, but the pilot had to change course for Aden, Yemen after Oman refused to let him land the aircraft. Vietor, who was now flying the plane, headed for Yemen. The Aden control tower denied him landing permission but, running low on fuel, he made an emergency landing on a nearby sand strip. With no knowledge of how badly the emergency landing had damaged the plane, the pilots pleaded with the hijackers to allow one of them to inspect the landing gear. Akache allowed Schumman to leave. Schumman checked the plane but disappeared for a few hours. What he did during the lost hours has never been known, and whether he went back to the plane voluntarily or was forced is still unclear. When he finally did come back to the plane, Akache made him kneel on the floor, and then shot him in the head. He then stuffed his body into a coat closet. On the morning of 17th October, Jurgen Vietor flew the now refuelled plane to its final destination, Mogadishu, Somalia. Eight years before, Somalias President Abdirashid Ali Shermarke had been shot by one of his bodyguards, marking the start of a bloodless coup. 6 days after Shermarkes death, Major General Mohammed Siad Barre took over power. Barre became a repressive strongman, eager to turn Somalia into a Marxist state. In July 1977, just two months before the Landshut hijacking, Barres government invaded the Somali-inhabited Ogaden region of Ethiopia, sparking off the Ogaden War. The war would last up to March 1978 when a defeated Barre ordered his troops back home. Vietor flew an unannounced Landshut into a country at war, although Mogadishu itself saw none of the action. At 6.22 am on the 17th, he made a perfect landing onto the main airport. The flying and landing earned him the commendation of none other than Akache himself. The terrorist leader allowed Vietor to leave, but the pilot declined, opting to remain with the other hostages. Akache then threw Schumman’s body off the plane and placed a final ultimatum. Landshut would blow up at 4.00pm if the demands were not met. Quick thinking by the West German government won them more time. Akache was told that the RAF prisoners would be released and flown to Mogadishu. The flight, however, would take long. Akache agreed to an extension, fixing it at 2:30am the next day. 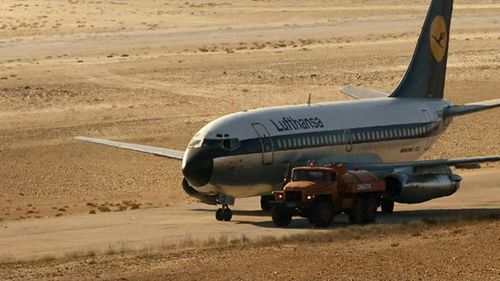 As Landshut had flown from Yemen to Mogadishu, it had been tailed by another Lufthansa jet, a Boeing 707, carrying Special Forces and a civilian emergency team. 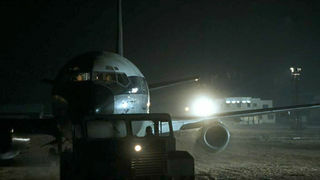 It landed soon after the hijacked plane, but Akache seems not to have noticed the second plane. The GSG-9 forces carried an arsenal of personal weapons, 100 grenades, more ladders than they would need, and enough explosives to blow up the plane. Siad Barre allowed West Germany to carry out a rescue attack, setting in motion one of the most ruthlessly efficient rescue missions in the history of aircraft hijackings. As the day progressed, the special forces planned out their attack, using the plane that had flown them into Somalia as a model. They had been training for five years for a situation like this, and with local support from Siad Barre, had the advantage. Once darkness fell, the plan was set in motion. First, snipers took up positions around Landshut. Then, negotiators at the control tower distracted the hijackers. All hostages had to be released unharmed for the deal to go through, they told Akache. He told the negotiators he would only release everyone once he had the money and his compatriots. This allowed the negotiators to buy time for the rescue mission. A recce team left the other Lufthansa plane and crept towards Landshut at midnight. Using an image intensifier, the located Akache and Harb talking in the cockpit. The main team then moved to an assembly point behind the plane, then crept towards the rear of the plane. They placed a ladder on both wings, and a third at the rear door. Akache was still distracted by the negotiators. His compatriots had just left Cairo and would be within range in a few hours. At 2am, two hours after the recce mission had ended, a strange fire appeared in front of the plane. It was another distraction, this time by Somali troops. As the two terrorists in the cockpit stared into the fire, two SAS commandos threw their stun grenades at the aircraft. The blinding flashes and the thundering noise startled Harb and Akache. ?On either side of the plane and in the rear, the main assault teams commandos opened the hatches and doors and slithered into the plane. Knowing that a rescue mission was in progress, Hind Alameh ran towards the rear doors. She never made it, as the first commando through the door pumped bullets into her body before she could get a single shot from her pistol. The other female terrorist, Suhailah Sayeh, ran towards the cockpit. On the other side, a disoriented Harb staggered out, crashing into her. She managed to get away and into the lavatory but Harb was felled almost instantly by twelve bullets fired by the advancing German commandos. ?Another assault team broke through the starboard door just as Akache was emerging from the cockpit. The leading commando fired from his sub-machine gun, shooting him eight times before the terrorist leader fell. Two grenades with no pins rolled from his hands and into the first-class. Both of them exploded. In the midst of the noise, now including the screams of terrified hostages, Suhailah fired from the lavatory. The return fire got her squarely in the chest, seven times. None of them, luckily for her, fatal. She surrendered. Minutes later, the leader of the assault team radioed Springtime! Springtime! The traumatised passengers and crew were flown home on Lufthansa jetliner Stuttgart landing at Cologne Bonn Airport, on October 18th. One commando and several passengers were slightly injured during the rescue mission. Only one hostage, 37-year-old Captain Jurgen Schumann was killed. The married father of two had flown a Lockheed F-104 Starfighter for the Luftwaffe before joining Lufthansa as a commercial pilot. The rescue operation was the second in Eastern Africa after Israeli commandos had rescued 102 of 106 hostages on Air France Flight 139, which had been flown from Athens to Entebbe Uganda. 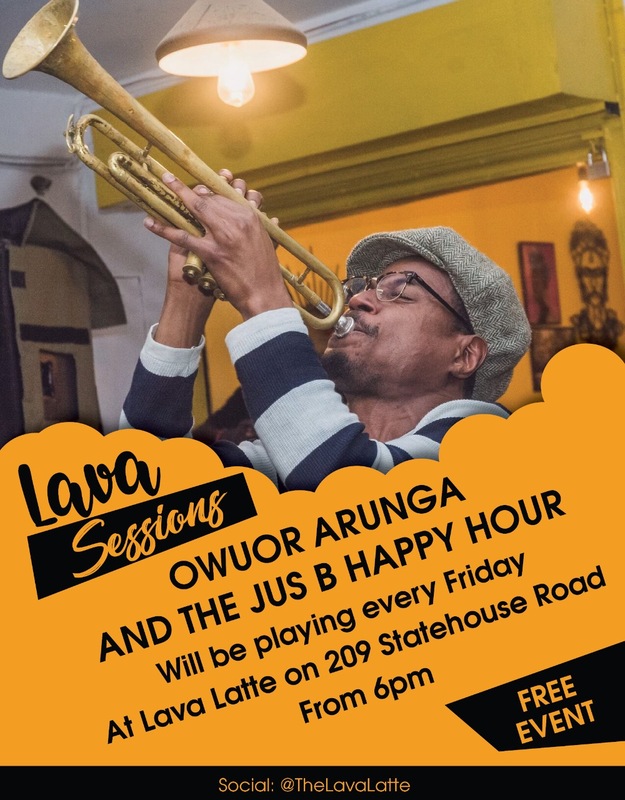 Operation Fire Magic happened a year after Operation Entebbe. Unlike the Israeli operation that had to be carried out in a hostile local environment, Operation Fire Magic had Siad Barres support and assistance. The only survivor among the hijackers, Souhalia was arrested and charged in a Somali court. She was released only one year into her 20-year sentence and bundled onto a cargo plane to Iraq. She quietly moved to Beirut where she got married and got a child. She moved to Oslo in 1991 but was arrested three years later and extradited to Germany in 1995 after losing her case against extradition. Germany, now a unified state, tried her for the same crimes of air piracy and murder and sentenced her to 12 years imprisonment. She was, again, released due to poor health. The bullet wounds had permanently injured her, forcing her to walk on crutches. The RAF reacted to the mission by killing Hanns-Martin Schleyer, a 62-year-old business executive they had kidnapped five weeks before. Three of the imprisoned RAF members committed suicide in prison, a fourth survived the suicide attempt. While hijacked, Landshut had flown for 9, 700km crossing from Spain to Somalia in an almost zigzag direction. It would serve for another eight years before being sold to TAF Linhas Aereas, a Brazillian carrier. The aircraft was retired in 2008.